At RICH CRM, we have always focused on providing the most complete set of business management tools at the most affordable price. RICH CRM offers free support by phone, email, chat, or web meeting, and all requests are answered by a real person who is dedicated to making you happy. We don't charge you for additional users, and we don't limit the number of emails you can send. Zoho CRM is a combination of different companies' products, all cobbled together by a larger company who purchased them all. When you purchase different Zoho functions, you have to purchase them separately and try to connect all the pieces together. RICH CRM was designed and built from the ground up with a single, integrated system in mind. Information in your RICH CRM account is immediately accessible wherever you are in the platform, and you have access to data that Zoho simply does not collect. Truly integrated lead scoring, predictive analytics, social collaboration - all of these tools in RICH CRM (but not Zoho) will bring your business to the next level of success, without breaking the bank. RICH CRM makes it quick and easy for you to automate your marketing efforts to convert leads, grow sales and save time. 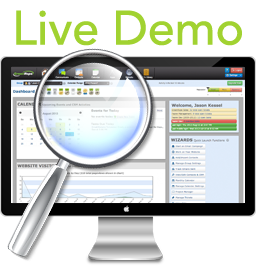 All of the features you need are available with RICH CRM for one low monthly price. In addition to email marketing, your RICH CRM account includes complete CRM, project management, mobile marketing, event management, true website analytics, social collaboration and more. Don't put up with paying too much for bad software when you don't have to!